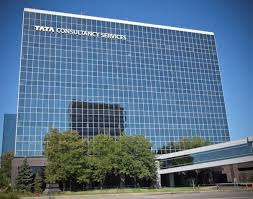 Tata Consultancy Services (TCS) recruited over 11,500 people outside India during 2016-17, including graduates from engineering and B-schools in the US, as it ramps up local hiring in offshore markets to tackle visa-related challenges. The country’s largest software services firm added 79,000 employees (gross) and 33,380 employees (net), taking its employee base to 3.87 lakh at the end of March. Hiring locals in overseas markets often pushes up operational costs for IT outsourcing companies. However, with the governments in markets like the US, Australia and New Zealand tightening their work visa norms, Indian IT companies are hiring more local talents in offshore markets to ensure compliance with rules. “Our local hiring programmes in various geographies are progressing well. In FY’17, we recruited over 11,500 employees outside India, including some engineering campuses and the top-10 business schools in the US,” TCS CEO and Managing Director Rajesh Gopinathan told investors. TCS did not provide details of the geographies where hiring was done. However, the 11,500 number is lower than TCS’ hiring from international markets in 2015-16. According to the company’s annual report, it had inducted 16,173 people from international markets into its workforce in fiscal 2016. America accounted for over 55 per cent of TCS’ USD 4.4 billion revenue in the January—March 2017 quarter, while over 25 per cent revenue came from Europe. Companies like TCS and Infosys use work permits like H-1B visa (in the US) to send engineers to work on client sites. However, over the past few weeks, the US and other countries like Australia have taken steps to tighten their visa regime. This, in turn, has forced companies to adjust their business models to reduce their dependence on visas and hire more locals overseas instead. The development comes at a time when the over USD 140 billion Indian IT industry is grappling with challenges like fluctuating currency movement and technology changes at a fast pace. New technologies like automation and artificial intelligence are also making a number of jobs redundant that in turn is impacting hiring at IT firms. TCS added about 79,000 employees in 2016-17 as compared to 90,000 gross hires in the preceding financial year. ”...going forward, we have said directionally it is going to come down and the total net intake also will be lower than what we have done this year,” TCS Head of Global Human Resources Ajoy Mukherjee said.